There are 5 remaining holidays for before 2014 ends. 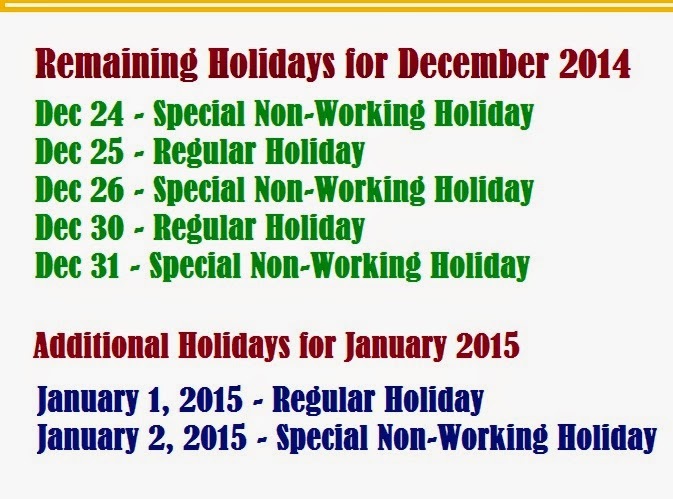 Here's a list of regular and special non working holidays that are left before year 2015. Plan your long vacation an parties on these days. Take a joy ride with your friends and have bonding with your families. You have a lot of time to do so. Wish You All a Merry Christmas and a Prosperous New Year!! !